The critical theory of evolution was developed by a group of scientists working together with Wolfgang F. Gutmann at the Senckenberg-Research-Institute in Frankfurt am Main. Gutmann worked at Senckenberg for 37 years. In this time he presented 247 contributions which are distributed over 47 periodicals and books. The ideas that were developed by Gutmann and his colleagues were innovative and pathbreaking for morphology and evolutionary biology. The large number of his morphological publications is indicative of the wide field that was opened up by the concepts of constructional morphology. 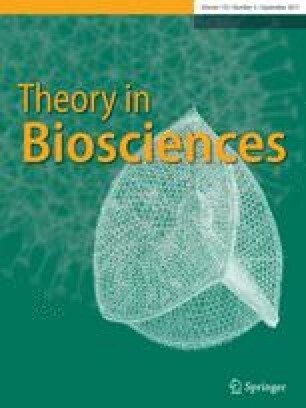 As some of his colleagues have suggested, constructional morphology as an engineering approach to the study of organisms (i. e., engineering morphology) may replace the traditional concepts of morphology and anatomy and provides the observational base for the historical reconstruction of evolutionary pathways. Constructional morphology as a quasi-engineering approach can be the morphological pendant to the contemporary molecular approaches to biology, as it can provide the necessary morphological basis for the interpretation of the results of molecular studies in the light of evolution.